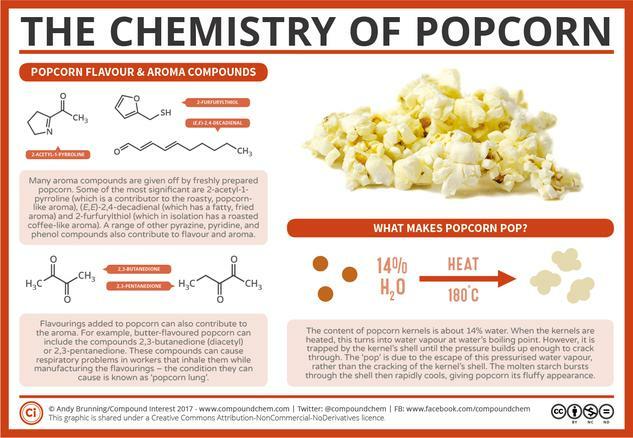 There haven’t been a great number of studies on the chemicals that make up the aroma and flavour of popcorn. The first of these, way back in 1970, identified a range of compounds, and made some general suggestions as to which ones were important for flavour. 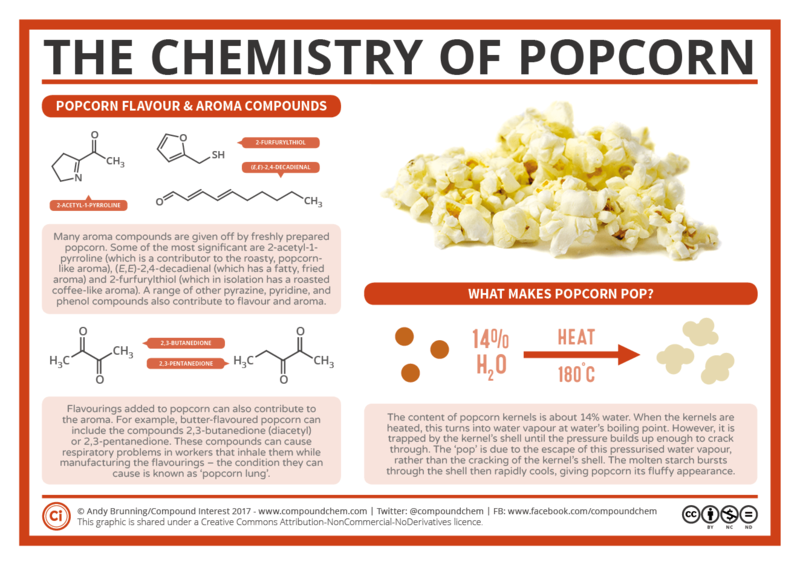 Compounds called pyrazines contribute nutty flavours, with 2-acetylpyrazine, whose aroma is itself described as ‘popcorn-like’, cited as a key odorant.